Do smokers know what they are doing to their life expectancy? Everyone, consciously or unconsciously, formulates in their own mind a subjective survival probability– i.e., an estimate of how long they are going to live. This will affect decisions in different spheres of later life: retirement, investments, and healthy behaviors. Moreover, previous research has found that subjective survival probability is a good predictor of mortality. In fact, on average, people somehow know better than standard health measures the effect that their characteristics and their behavior have on life expectancy. It is however plausible not only to expect differences within the population in terms of survival, but also in the ability to predict their own survival. In a recent publication with Bruno Arpino from the University Pompeu Fabra and Sergei Scherbov from the Wittgenstein Centre (IIASA, VID/ÖAW, WU)., we presented for the first time joint analyses of the effect of smoking behavior and education on subjective survival probabilities and on the ability of survey respondents to predict their real survival, using longitudinal data on people aged 50-89 years old in the USA drawn from the Health and Retirement Study. We found that, consistent with real mortality, smokers report the lowest subjective survival probabilities. Similarly, less educated people report lower subjective survival probabilities than higher education people. This is in line with the well-known positive correlation between education and life expectancy. However, despite being aware of their lower life expectancy as compared to non-smokers and past smokers, people currently smoking at the time of the survey tended to overestimate their survival probabilities. This holds especially for less educated people. Our study suggests that in fact, education also plays an important role in shaping people’s ability to estimate their own survival probability. 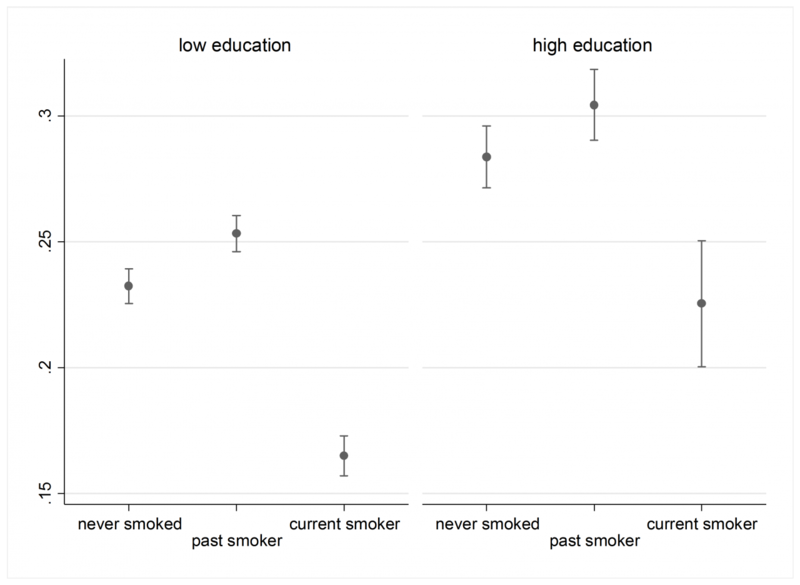 Whether or not they smoke, we found that more highly educated people are more likely to correctly predict their survival probabilities. In view of the high proportion of the American population that consists of current or past smokers, a percentage that reached 77% in some male cohorts, our findings emphasize the need to disseminate more information about risks of smoking, specifically targeting people with less education. By showing that smoking and education play together in determining how well people can assess the own survival potential, this study extends our understanding of the variability of subjective survival probabilities within a population. 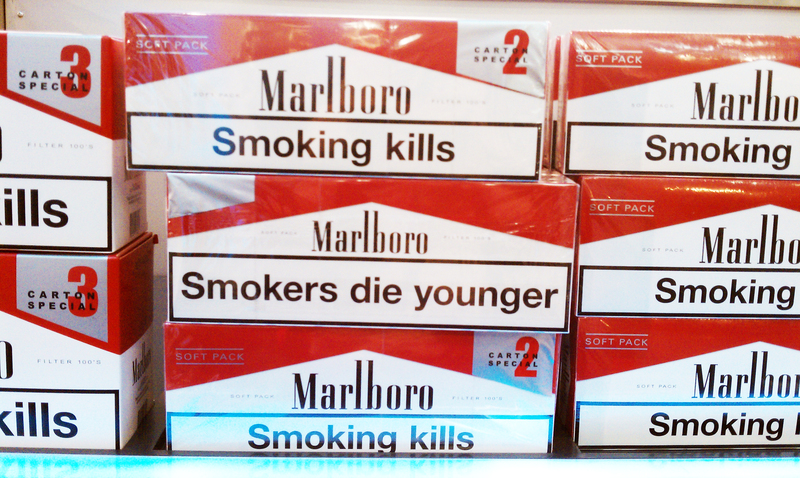 The fact that sub-groups within the population differently incorporate the effects of smoking into their assessment of survival probabilities may have important consequences for example on when people exit the labor market or whether they buy a life insurance, as individuals are likely to base their decisions also on their longevity expectations. Policymakers can therefore draw some relevant conclusions from our study to design policies concerned with health and survivorship in later life. 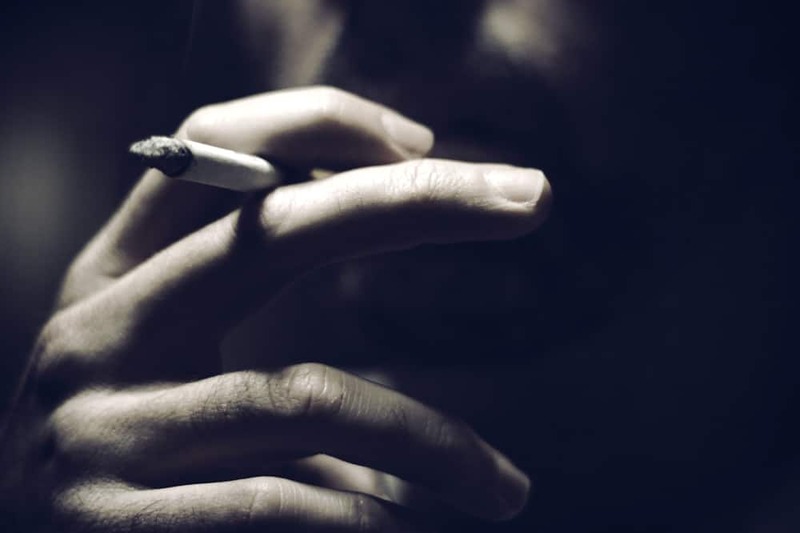 Despite the various anti-smoking campaigns and smoking restrictions, smokers may not be fully aware of the risks of smoking. In particular, educational groups seem to be differently exposed to the information that is disseminated to the public. Our study suggests that there is a need to target such information to less educated people, who are the most likely to underestimate the risks of smoking. Providing information on how survival probabilities vary by smoking behavior may not only reduce smoking but it may also increase individuals’ ability to assess their own survival.